​Trendy and comfy espadrilles wedges. Whether partying in the Balearics or at a BBQ, you'll have a Fiesta in these espadrilles. The glittery toe adds some serious summer sparkle to a traditionally chic silhouette. A 9cm wedge with rope wrap with 3 cm platform gives just the right amount of comfy height. Silver or Gold Glitter closed toe Espadrille Platform High Heel Wedges with Leather Buckled Anckle Strap made by CASA HERNANZ, Madrid's more famous institution. Even the King reputedly buy his espadrilles here. 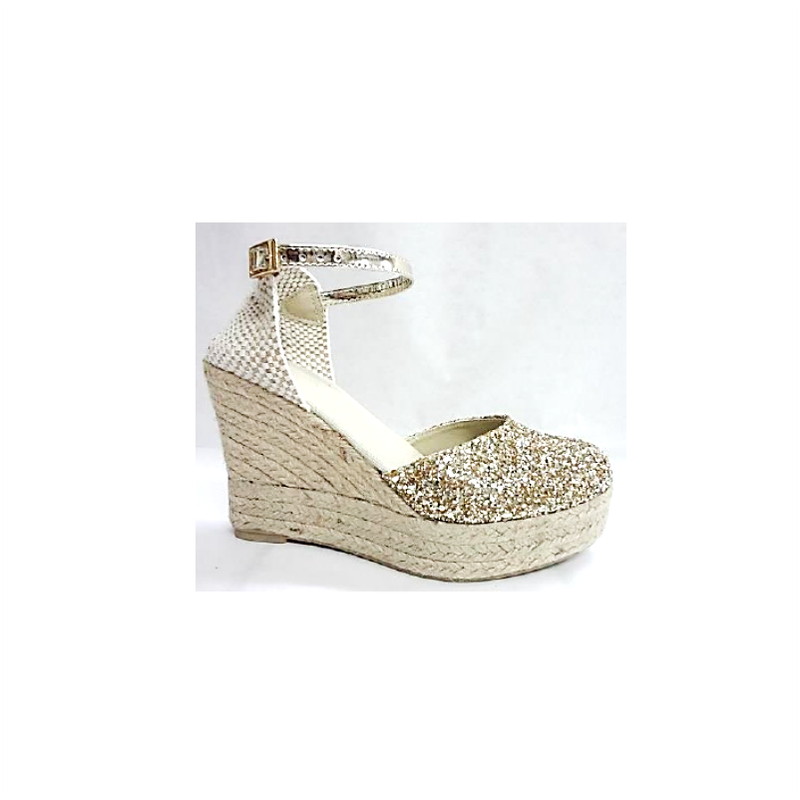 Featuring sparkling black gold or silver glitter upper, round toe, espadrille wedge heel with platform, and rubber sole.